“Rock out to the popular sounds of one of today’s biggest breakout stars during the live outdoor show on Baha Mar’s Jasmin Lawn, overlooking lush gardens and stunning fountains and lake shows,” Baha Mar says in a press release. The Baha Mar Casino Pool. 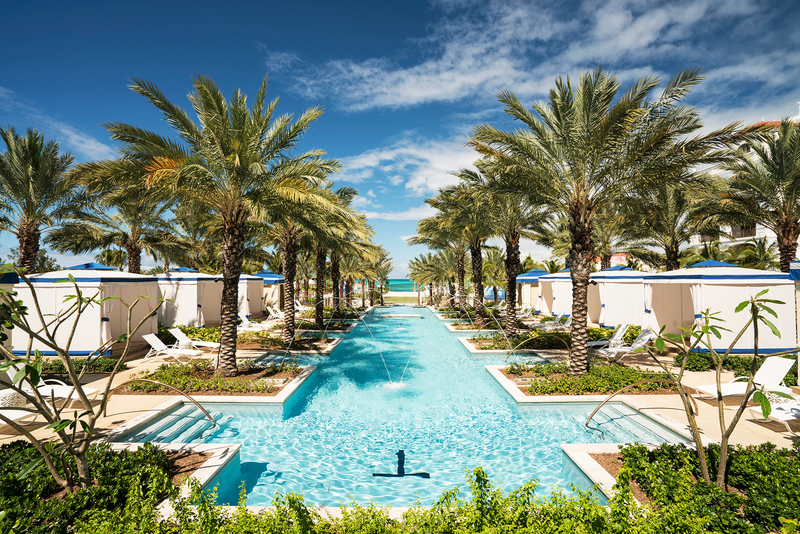 That’s not all: Guests who stay in one of Baha Mar’s 2,300 rooms can enjoy an 18-hole Jack Nicklaus Royal Blue Golf Course, the Caribbean’s first and only flagship ESPA spa and more than 30 luxury retail outlets. Of course, Dua Lipa is a major attraction in her own right. The Brit is the most-streamed female artist on Spotify and the only female artist in history to have four lead songs with more than 500 million Spotify streams. Plus, the music video for her hit song “New Rules” has racked up more than 1.5 billion views on YouTube. Tickets for her Baha Mar performance are available now online at BahaMar.com. General admission tickets start at $150, premium tickets start at $200, and VIP tickets start at $300. Limited tickets will also be sold at the door, depending on availability.